Rajinikanth, is the most popular Indian film actor who took No.1 place in Indian Film Industry recently after his continues blockbusters with the Director Shankar (Shivaji , Endhiran - The Robot). 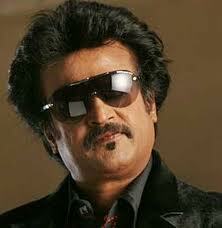 Rajinikanth was born on 12th of December 1950 in Bangalore, Karnataka (India). His original name was Shivaji Rao Gaikwad. He belongs to Maratha Patil family. His mother name is Jijabai and father name is Ramoji Rao Gaikwad. He was the fourth child to his parents. He got two elder brothers(Sathya Narayana Rao and Nageshwara Rao) and a sister. He lost his mother at the age of 5. He studied in Government Model Primary School at Gavipuram, Bangalore and then at Acharya Patasala Public School, in Bangalore and then in Swami Vivekanandha Balak Sangh ( Ramakrishna Mission ). Earlier rajinikanth worked in many places in Chennai and Bangalore. He worked as a bus conductor in Bangalore ( Bangalore Transport Service ). He participated in stage plays which gave him the motivation to become as an actor. He joined the Madras Film Institute in 1973. Mr.Raj Bahadur, rajinikanth's friend and colleague motivated him and financially supported him during his studies. His performance in a stage show led him to cinema industry. Director K.Balachander introduce Rajinikanth to tamil cinema with the movie Apoorva Raagangal in 1975.